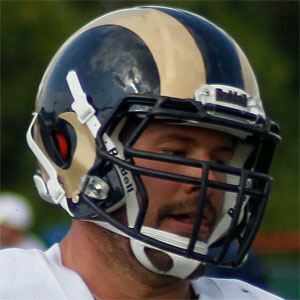 7th round draft pick for the St. Louis Rams in 2010 who spent two seasons in St. Louis before signing with the Washington Redskins in 2013. He was an all-conference selection while playing as the team captain at Penns Valley High School. He was a named to three consecutive Academic All-Big Ten selections from 2006 to 2008 playing at Penn State University. He proposed to his longtime girlfriend Megan Meyers and the couple later married. He was teammates with NaVorro Bowman at Penn State.